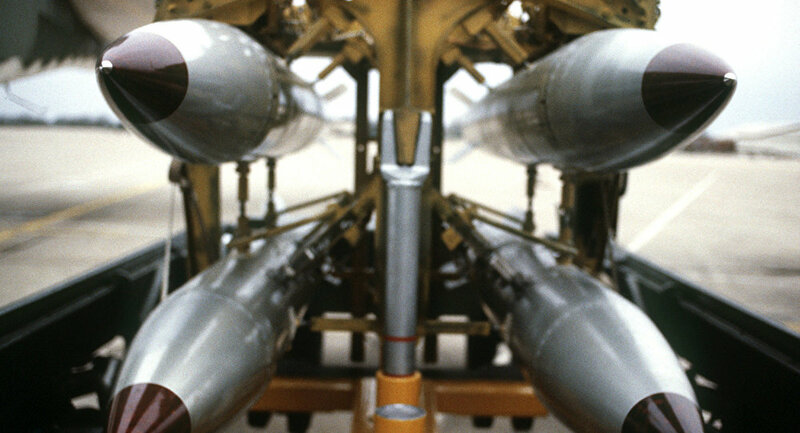 As the United States prepares to spend billions on upgrading the B61 nuclear bombs it has deployed in Europe, a report compiled by an NGO called the Nuclear Threat Initiative (NTI), founded by former US Senator Sam Nunn and philanthropist Ted Turner, states that these weapons today serve as a risk factor rather than a deterrent, according to the Guardian. "Forward-deployed US nuclear weapons in Europe increase the risk of accidents, blunders, or catastrophic terrorism and invite pre-emption. Given these added risks, it is past time to revisit whether these forward-based weapons are essential for military deterrence and political reassurance," an NTI report cited by the Guardian says. The nuclear bombs in question are essentially the leftovers from the nuclear stockpile previously deployed in the region during the Cold War, and as Europe continues to rely on the US ballistic missile arsenal as a deterrent, the bombs appear to be serving no military purpose whatsoever. "It is hard to envision the circumstances under which a US President would initiate nuclear use for the first time in more than 70 years with a NATO [dual-capable aircraft] flown by non-US pilots delivering a US B61 bomb," the report says. The NTI points out that a third of the nukes the US keeps in NATO countries abroad are currently stored at the Incirlik airbase in Turkey, which is located about 70 miles from the border with Syria. This understandably creates a security risk, as Daesh (ISIL/ISIS) terrorists operating on Syrian soil may make an attempt to stage an attack against the facility in a bid to grab the WMDs. Beyazıt Karataş, vice-chairman of the Turkish left-nationalist party 'Vatan' and a retired Turkish Air Force Major-General, also told Sputnik that considering the Washington’s new nuclear doctrine, "Turkey doesn't have to follow the American political strategy" and should "withdraw all US nuclear weapons from its territory as soon as possible." US nukes in Europe are stored in Italy, the Netherlands, Belgium and Germany, and according to NTI it should be assumed that these weapons "are targets for terrorism and theft." Last year Russian Chief of General Staff Gen. Valery Gerasimov warned that the Pentagon’s plans to upgrade US tactical nuclear weapons in Europe will "negatively impact regional security." And in 2016 Mikhail Ulyanov, director of the Russian Foreign Ministry's Department for Non-Proliferation and Arms Control, also pointed out that Russia’s response to the US deployment of upgraded nuclear bombs in Europe "will be adequate, and its parameters will be determined by a thorough analysis of all circumstances."